1. Rinse daals and soak them in water overnight. 2. Rinse brown basmati. And soak it in a separate container overnight. 3. Rinse quinoa. Soak in a separate container overnight. 4. Next morning, grind both the daals by adding little water and set aside in a huge container. 5. Grind brown basmati along with quinoa. Add brown basmati mixture to the ground daal paste. 6. Add salt cover and keep for fermenting for at least 8 hrs. 7. After the batter is fermented, grease the idli stand. 8. 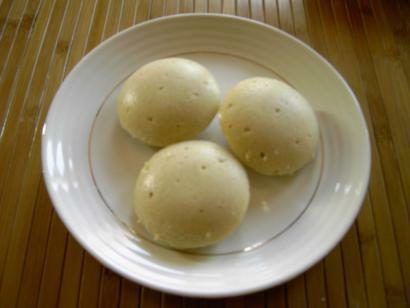 Steam idlis in pressure cooker or in a container until cooked.